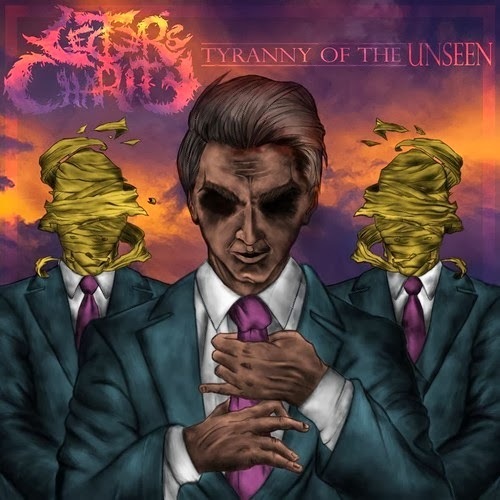 Tyranny of the Unseen is Lecter’s Charity’s debut EP which was released in 2013. It has five songs and roughly 15 minutes worth of listening materials. The album is mostly deathcore from the beginning to the end, and there are tiny hints of metalcore here and there. The type of deathcore it would be considered is the ‘chuggy deathcore’ kind, as it doesn’t stray too far from cookie cutter deathcore sound. The second song off of this EP is “Ignorance Is Slavery.” The pace of the song is average, not too fast nor too slow. The instrumentals are mostly chugging guitars, blast beats, etc. There is some parts in the song that sound more chaotic/experimental than others. The vocals used are low screams and high screams. The low screams are good, but the high screams, I believe, could use some improvement. I say this because they don’t sound like they have power behind them, and/or sound like he is trying too hard to do them. The following track is “Ambassador Of Lies.” The pace is a bit more faster than the previous song, but not a substantial increase in speed. Instrumentally, it sticks to the same kind of instrumentals the previous song had as well. However, there are some parts in the song that sound progressive, but the progressive portions are very subtle and short lived. Also, there is a good sized breakdown near the end of the song. Vocally, it sticks to the same screams; low and high, but the addition is shout screaming in this song. The shout screaming is well placed in the song, so it doesn’t knock the song off of its path. Lecter’s Charity’s EP Tyranny of the Unsween is okay album. They really do not stray away from the cookie cutter sound that deathcore has, but I wouldn’t say they sound bad or are bad. I think that since this was their first EP and just starting out. There is room for improvement, room to spread their wings, and try different sounds mixed in with the sound they have for this album for their future album. So! If you like straight deathcore, then I recommend giving this EP a go. It’s free to download, so you don’t lose anything if you do decide to grab it! ‹ Nexilva’s next album, ‘Eschatologies’ set to release March 7, 2014!